Today we have a very fun and unique tutorial. 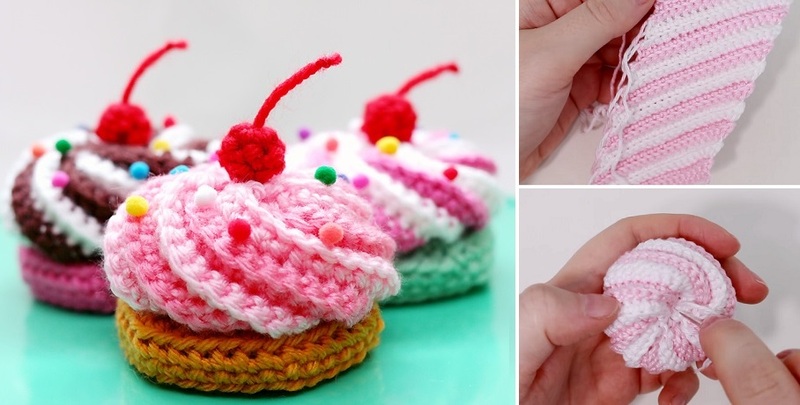 Ever wondered what it would be like to crochet a swirled cream cupcake. Well, today you can check it out. We have find couple tutorials both in English and other language in order for you to fully understand the process. The guidelines are very precis, the videos are clearly taken and there is simply nothing to second guess about. Both of the tutorial that we have embedded here are for the very same cupcake project. Yummy! Make sure to drop a comment below and let us know how you feel about these cupcakes. Boy, I think I want a real one, enough of crocheting, I’ll go cooking. Enjoy the instructions.